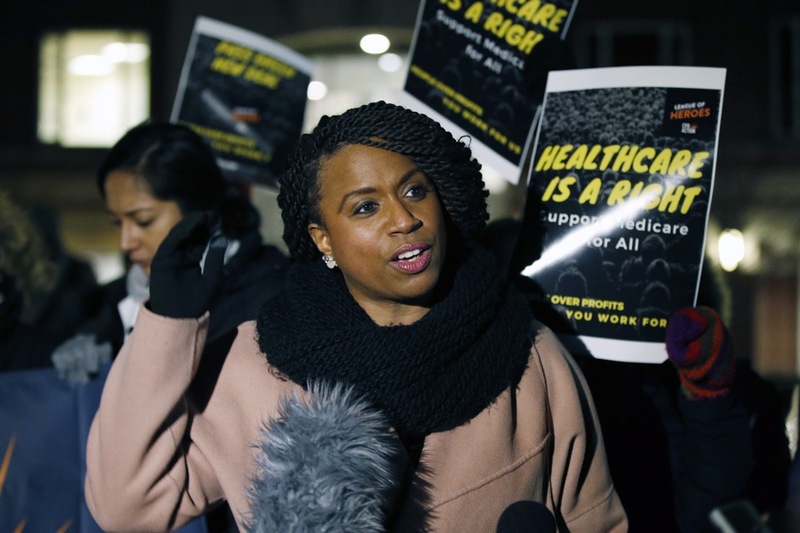 She isn’t even in office yet, and Ayanna Pressley is becoming a voice in Washington that’s impossible to ignore. The Boston City Councilor who has enjoyed a very big spotlight after besting incumbent Democrat Michael Capuano this year, delivered some strong words for donors in a closed-door Democratic National Committee fundraising meeting. According to Buzzfeed, which got its hands on a recording of her speech, Pressley said she wasn’t afraid of making fellow Dems uncomfortable in a push to transform the party, raising questions about a perceived lack of support offered for female candidates of color, urging Democrats to make their staffs more diverse, and, as the 2020 election inches closer, making a case for focusing more on issues, and less on Donald Trump. She also repeated what was apparently a message she heard from a young person at a listening session held at Boston City Hall on Monday that touched on gun violence: “Do black lives only matter in election years when our votes are at stake?” The 10-minute speech reportedly got mixed reviews from the audience, with some cheering and others remaining seated and looking stern. Pressley has, of course, made similar comments following her primary win, including in an interview with the Dorchester Reporter. But a direct confrontation with powerful donors is yet another example during her transition period of attempts to challenge the status quo. Last week, she walked out of an “orientation” for newly elected officials held at Harvard, joining fellow progressive rising star Alexandria Ocasio-Cortez in a demonstration outside the training session, which has become a traditional welcome for new members of Congress over the last several decades. Both said they did so because of the disproportionate influence of corporate lobbyists and the former CEO of Goldman Sachs at the meeting, and not enough representation from labor and community groups. “I was not sent to Washington to play nice,” Pressley said.